The HVAC sector is one of the most important target groups for EMKA. Due to this, the expert for locking solutions continues to develop further its portfolio and optimises its stock range to meet the customers’ requirements. Currently, EMKA has expanded its range in the field of HVAC by four central solutions. EMKA’s developments include a new handle system for ventilation and air-conditioning installations. 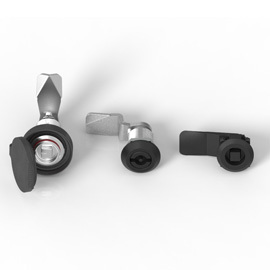 The handle excels at an ergonomic layout of the line and has exchangeable locking sets (round cylinder, square etc.) as well as an adjustable roller or eccentric cam. The roller cam (also called tapered roller) is designed for the locking on the inside. The eccentric cam is designed for the outside, e. g. when the door opens to the inside. In this way, the desired compression can be achieved. 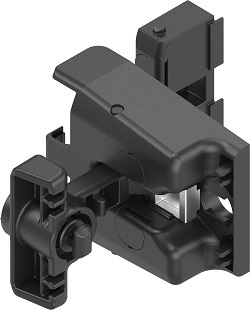 In addition, there is the option for upgrading to a multipoint latch. 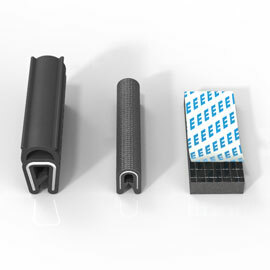 The new 3D module connector by EMKA connects air-conditioning units and cabinet modules with a mounting clearance of max. 7 millimetres. The highlight: Due to the interfacial connection (convex / concave), the user automatically achieves a three-dimensional positioning of the modules during screwing. With this specially developed shape, EMKA beats comparable products of the competition. The connecting element got its name because of the 3D effect that is created by the convex and concave ball shape between the two elements. The ball on the inside makes sure that during mounting the two parts pull themselves into the centre automatically. So you have an intertwining of the elements in all “three dimensions” (spherical shape). 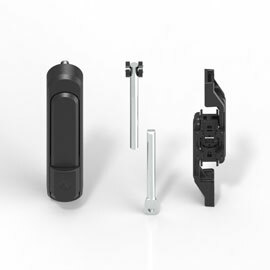 In addition, EMKA has developed a new locking hinge. 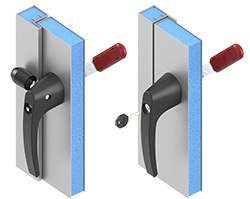 The solution is available in several types: large and small versions as well as with and without compression relief, which provides the user with the security of opening the door without risk in pressurized systems. 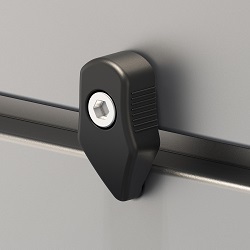 The solution for large doors and flaps (> 0.8 m² surface area) features a robust material mix: The strength-relevant components (bolts, hinge bracket) are made of die-cast zinc, the remaining elements are made of plastic. 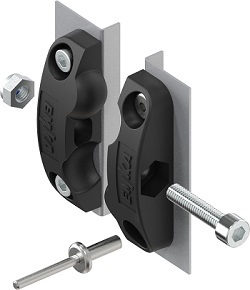 Accordingly, EMKA has implemented a 3D adjustment in the large version by means of a height-adjustable hinge bracket. 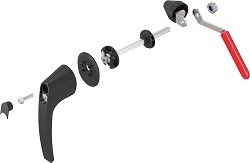 This enables the user to carry out an adjustment of up to a further 3 mm during operation. When the door is closed, the locking hinge can be fine-tuned so that the door becomes audibly tight. 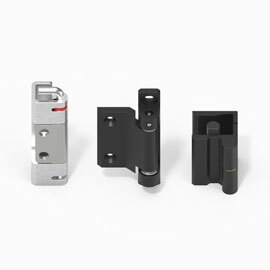 The smaller version of the locking hinge has been developed by EMKA for door sizes below 0.8 m². In addition to a smaller size (approx. 40 %), it also offers a significant price advantage compared to its big brother. Last but not least, the bridge clamp 1076 complements the program in the EMKA HVAC range. The clamp has been developed for arresting panels and flaps that need to have be taken off completely in case of maintenance service. What is so special: The integrated spring support prevents the bridge clamp from twisting when the door is open. The bridge clamp is supplied complete with hexagon socket screw M6 and spring.